Mat 12:7 And if you had known what this means, ‘I desire mercy, and not sacrifice,’ you would not have condemned the guiltless. Due to the Literature Bible that I am reading being written in paragraph form rather than verse by verse form, I really began to pick up on some different stuff while reading Matthew. One of those things was Jesus telling the Pharisees to learn what “I desire mercy and not sacrifice” means in Matthew 9:13, and later in Matthew 12:7 rebuking them for not learning what that meant. Upon reading this I began to ponder about what exactly that meant, why was it supposed to be so important to the Pharisees, and in what way it was supposed to apply to the given situation. With these questions in mind, I hope to explain this somewhat mysterious quote that Jesus gives the Pharisees. When I first read, “I desire mercy and not sacrifice,” my mind immediately jumped to the Old Testament verse, “To obey is better than sacrifice,” in 1Sa. 15:22. However, when I began to look at the quote, the more obvious reference Jesus was making was “For I desire steadfast love and not sacrifice, the knowledge of God rather than burnt offerings.” In Hosea 6:6. Now, one of the key differences here is the replacement of “mercy” with “steadfast love”. I say this is key because the Hebrew word there carries the weight of the verse. Chesed means many different things and can be interpreted many different ways. So much so, that I looked at 19 different translations, and there were at least 8 different ways of saying it: mercy, love, steadfast love, faithfulness, loyalty, kindness, goodness, loving kindness, and more. (http://biblehub.com/hosea/6-6.htm) One site seems to imply that this word chesed should be viewed as a concept involving all of these definitions into one. (http://www.atonementfriars.org/lectures/i_desire_mercy.htm) After doing the research, I conclude likewise. Chesed is a word that implies love, loyalty, kindness, goodness, mercy, and even at times reproach. Now that I’ve beaten the word “chesed” to death, let’s return back to the quote in question with a new perspective of what Jesus meant when he quoted Hosea 6 by saying, “I desire chesed, and not sacrifice”. What Jesus means by this is what God meant in Hosea 6—He wants more than just ritualistic actions of obedience, he wants chesed. God wants love, loyalty, kindness, goodness, and mercy! God wants more than just obedience (which is better than sacrifice), God wants obedience with understanding of His will. I make the latter claim for one important reason— the second half of Hos. 6:6 which states “the knowledge of God rather than burnt offerings”. 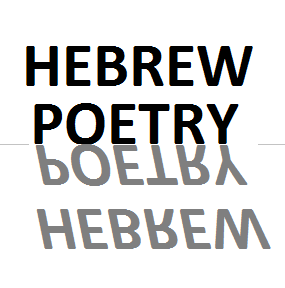 In Hebrew poetry, there is a lot of parallelism, and I believe that is exactly what occurs in Hos. 6:6. I see here that chesed is being paralleled with “knowledge of God” which is can be thought of as an understanding of God’s purpose and His love. To put it simply, I believe that Hos. 6:6 is saying that God desires chesed rather than sacrifice, and would rather humans understand the love of God rather than give Him burnt offerings (sacrifice). Moreover, God desires His people to obey with and/or through chesed which implies not just robotic compliance, but an understanding of the purpose of the law and how it fulfills God’s chesed. This, my (maybe) suffering audience is what Jesus was talking about when speaking to the Pharisees. God desires chesed and not sacrifice. By now, I have already implied the answer to the second question I asked in the beginning. This verse was important to the Pharisees because they were supposed to be immensely knowledgeable in the Old Testament Law. Therefore, since Jesus told them something they should have known, the Pharisees should have jumped right up on it and sought to understand the reference. What makes it really meaningful to the Pharisees is something that will be answered in my next question. In what way does this apply to the given situation? Answering this question involves looking at the context of each situation. Let’s digest the scenes. Scene one (chapter 9) gives us the situation of Jesus eating with sinners, and then the Pharisees rebuking him for doing so… Where’s the chesed? Scene two (chapter 12) takes a little more studying, but the disciples were picking corn due to hunger and the Pharisees blamed them for not observing the Sabbath. It’s not clear how chesed comes in here, but we will see after a while. What can be gathered from the quotes I just gave you is that the quote from Hosea applies well to the Pharisees in Matthew 9 because they showed absolutely no chesed in that they cared so much about being perfect, sacrificing, and hating imperfection that they allowed it to cause them to hate people that were imperfect. This was a lack of chesed on a spiritual level. Therefore, they had a need to learn of it. I hope you did read that Mark telling of the Sabbath day because it is important to understanding the second scene. This is because we need to understand that the Sabbath was not made for God, but made for man (Verified by looking at Deut. 5:14). Therefore, when the Pharisees said that they had broken command by gleaning corn to eat on the Sabbath, they were grossly misusing God’s command. The disciples were hungry! Apparently the Sabbath was not meant to be another form of sacrifice to God, but was meant to be God’s ordained day to give back to the Israelites by making it their day of rest (This becomes even more understandable when taking into perspective the curse on Adam in Genesis). Therefore, it reasonable and lawful for the disciples to get some corn to eat, and for the Pharisees to demand sacrifice is a lack of chesed on a physical level. This is where the second part of my explanation of chesed and Hos. 6:6 comes into play. The Pharisees’ misuse and malpractice of the Sabbath day showed a lack of understanding in the commandment of the Sabbath day. The Pharisees were obviously just being robotically compliant with the scriptures, not understanding why the laws were so, demanding the same compliance from those around them, which resulted in a lack of chesed. I think that Jesus is trying to say that had they actually sought to understand and grow in the knowledge of God, chesed would have naturally followed. However, since they focused on just methodically going through a checklist of rules, they lost sight of the true meaning of God’s law. Another great explanation is offered here. “However, over time the Israelites began to worship other gods while continuing the ritual of the sacrifices. They “obeyed the Law,” yet they did not display love toward God, and they did not truly know Him. Hosea’s message was a response to Israel’s hypocrisy. God desired their love over external practices of piety. He longed for His people to long for Him rather than simply continue a religious tradition.” (http://www.gotquestions.org/mercy-not-sacrifice.html) This explanation of Hosea 6:6 fits fantastically with the problem Jesus was pointing out to the Pharisees. They had focused so much on just obeying the law that they lost sight of the big picture—they couldn’t see the forest for the trees. The result of their lack of sight was their unlawful oppression on those around them. What Jesus pointed out was that their lack of sight resulted in a lack of chesed. This is a remark on Matthew chapter 9, but it goes well with both scenes. Jesus told the Pharisees to learn chesed, knowing that they wouldn’t because they were so focused on obeying the letter of the law that they had lost sight of God’s love, and what His law was all about. The Pharisees had no sense of chesed because they obedience had become completely self-serving. They were no longer obeying out of love; they were not longer sacrificing to give back to God. 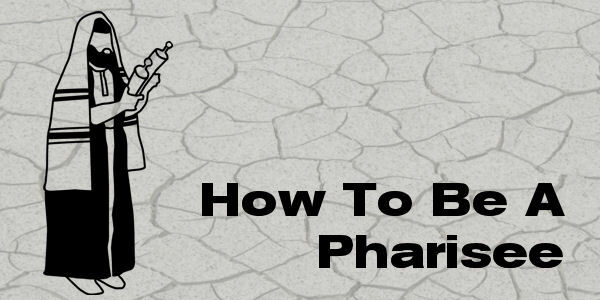 Instead, the Pharisees were obeying and sacrificing merely out of self-preservation and a good image. Jesus was making a point to the Pharisees that their obedience was lacking the correct motive. I hope that this lengthy exploration of Jesus’ quote has not been too burdensome on the reader, and I hope that I have answered any questions you may have had on the quote. What I have gathered is that the quote is in reference to Hosea 6:6, the emphasis is on the need for chesed, the Pharisees should have known it due to their supposedly immense amount of knowledge in the Old Testament Scriptures, and Jesus was essentially rebuking them for their lack of chesed and emphasis on sacrifice. My conclusion is that Jesus wanted to get across that while obedience is better than sacrifice, obedience involving chesed is greater than mere obedience. Posted on January 20, 2015 February 15, 2016 by dgaskins08	This entry was posted in Uncategorized. Bookmark the permalink.